I am currently serving my second year on ALSC’s Membership Committee. It’s been an enlightening experience, and I’m so excited to see what the next year will bring. When I first began my tenure, I was under the impression that our duties consisted only of sending out welcoming postcards to new members and planning the ALSC 101 meeting for the Annual Conference. Yes, we do both of these (and they’re both awesome! ), but since then, I’ve discovered that we do so much more. 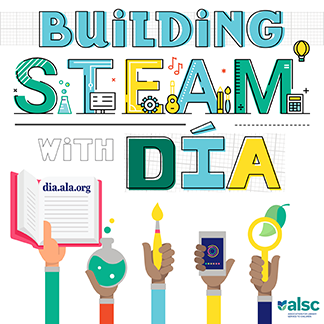 One of my most rewarding duties on the Membership Committee has been to help connect ALSC members with the many resources that ALSC has to offer. As I’ve done so, I’ve started to use ALSC resources more myself, and I’ve been delighted to see that service at my library branches has improved as a result. Sometimes, connecting people to resources is as easy as highlighting ALSC’s well-curated book lists, which are a great help in strengthening collections and helping patrons find quality reading material throughout the year. At my branches, the book lists have been invaluable resources, allowing our staff to expand upon their reader’s advisory skills and create engaging displays tailored to our community’s needs. I am always really excited to share information about the wonderful webinars that ALSC offers to its members. The good news is that the live webinars are free to anyone, even if you aren’t yet a member! Wait, what? Yes! Live webinars are free to everyone! Yay! These webinars are helpful for anyone, but they can be a real lifesaver for staff who are embarking on new projects and need as much information as they can get. At one of my branches, we are planning on starting a sensory storytime in the fall, but we’ve never done this before, so we need a lot of help. Lucky for us, we were able to watch the Sensory Storytime webinar (Sensory Storytime: Preschool Programming That Makes Sense for Kids with Autism), and we felt so much more confident and capable. The other two resources that I encourage new members to explore are the ALSC blog and the alsc-l listserv. Many of us work in situations where we are relatively isolated, without a lot of nearby colleagues. In these cases, connecting with other librarians across the country can really help out. Alsc-l is a wonderful forum where you can ask and answer questions, share resources and information, and brainstorm with people across the country. If you haven’t subscribed, I encourage you to check it out! 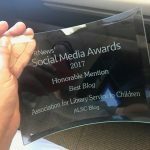 If you’re reading this post, then you’re already familiar with the ALSC blog, and that’s great! 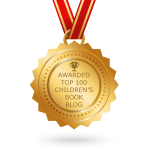 The blog is an outstanding resource, providing insight into current issues and events, programming ideas, and inspiration. If you don’t subscribe to the blog, I encourage you to sign up. It’s easy to do, and it’s a great way to make sure that you won’t miss any posts. The more that I learn about and help promote ALSC’s resources, the more thankful I am that we have access to such high quality, diverse resources. I really believe that an ALSC membership is worth every penny (and more! ), and I’m so glad that ALSC is here to help us continue to learn and grow. Sarah Hashimoto is serving on the ALSC Membership Committee through June 2019. She manages Jackson District Library’s Henrietta Branch and Summit Branch in Jackson, Michigan.